This is Oggie, a beautiful Irish Setter. I worked on a deep red smooth card using a variety of chalk pastels including Schminke and Rembrandt makes and Derwent pastel pencils for the details. 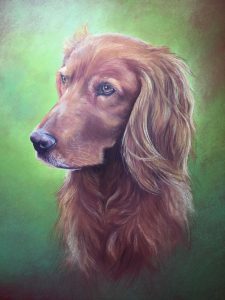 The deep red of the card shone through the pastel to enhance the warmth of the glossy coat and a vibrant but simple green background provided a good complement to the colours. The work was being collected. 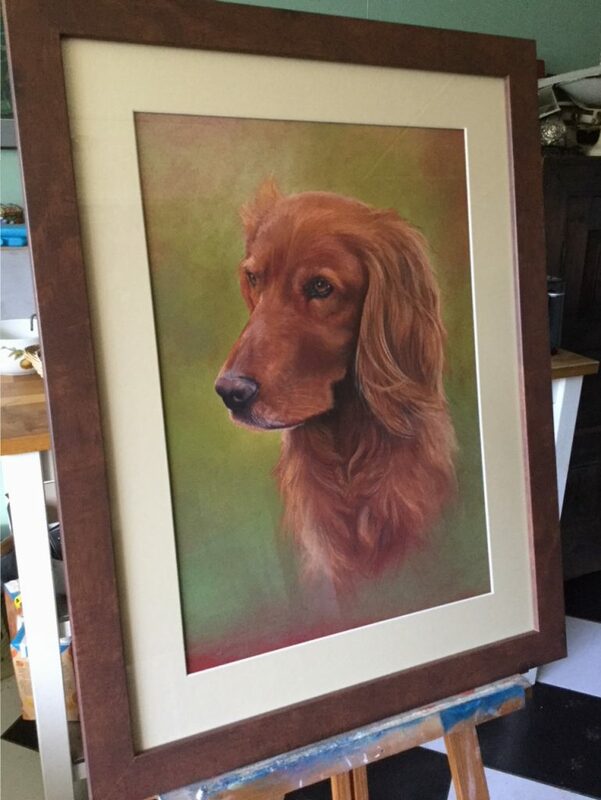 After the approval of the portrait by email, I arranged for the mounting and framing.